St. Peter’s Health Center for Children and St. Peter’s Family Health Center, members of St. Peter’s Health Partners Medical Associates, are pleased to welcome Richa Sharma, M.D., to their practices. Board-certified in pediatrics, Dr. Sharma practices pediatric medicine. 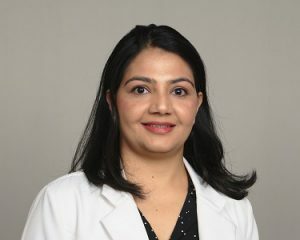 She received her medical degree from Manipal College of Medical Sciences in Nepal, and completed a residency at Bronx Lebanon Hospital in Bronx, New York. Previously, Dr. Sharma served patients as a general pediatrician at both Bayhealth Medical Center and Kaza Medical Group in Dover, Delaware. Dr. Sharma’s professional interests include obesity, asthma, and caring for adolescents. St. Peters Health Center for Children is accepting new patients at 1092 Madison Avenue in Albany. To schedule an appointment or for more information, please call 518-525-2445. St. Peters Family Health Center is accepting new patients at 326 South Pearl Street in Albany. To schedule an appointment or for more information, please call 518-449-0100. St. Peter’s Health Partners Medical Associates, with more than 350 physicians and advanced practitioners in more than 80 locations, is affiliated with St. Peter’s Health Partners – the region’s largest and most comprehensive not-for-profit network of high quality, advanced medical care, primary care, rehabilitation and senior services.